We are a leading manufacturer of Industrial Wooden Packaging Box. We are one of the leading companies of Industrial Packaging Boxes. To sustain the industry standards, professionals also check this product on varied industry standards. 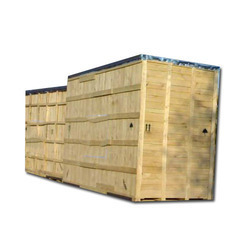 Riding on vast volumes of expertise in this arena, we are occupied in offering Heavy Machinery Packaging Boxes. Due to rich industry skill and practice, we are providing a varied range of Industry Packaging Boxes that is available in varied designs that meet on purchaser’s demand. We specialise in Nailless Heavy Machinery Packaging Boxes, packaging Oversize (ODC), Over-weight and difficult to handle cargo. We can manufacture export boxes of any size and ensure that your products reach the destination in clean, dry and perfect condition. We routinely make boxes that are 40 feet x 12 feet x 12 feet and can take up to 40 tonnes of weight. Pack Smart India Pvt. 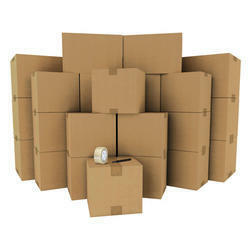 Ltd.
We offer Industrial Packaging Boxes. Packaging designs and develops optimal industrial and transport packaging solutions with a strong focus on total cost take-out.